Finding out your child/teen is engaging in self-harming behaviors can throw any parent into a whirlwind of emotions- fear, anger, sadness, and confusion (just to name a few). Understanding why your child would harm their body can be very difficult. I intend to shed a little light on the why here, but I, primarily, would like to give some feedback on how you, as the parent of someone who is self-harming, can respond if you do learn your child is engaging in self-harming behavior(s). A coping mechanism is maladaptive in that the coping mechanism itself causes additional problems. However, in the immediate, the person finds relief. 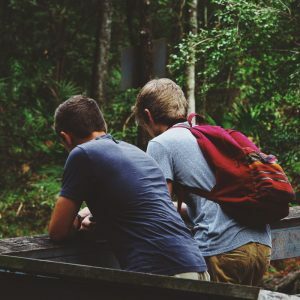 Although I would love to go into many reasons why/how self-harm provides relief for an individual, this blog is focusing on how a parent, or trusted helper, can respond, productively, if they find out a loved one is self-harming. Additionally, these types ofinitial reactions can have the added negative effect of driving the behavior further underground where we find self-harm happening more and more secretly, which removes the concerned adults ability to help. If the self-harm does stop due to fear of punishment, we still have not dealt with why the person is self-harming. Empathy– Attempting to take a posture of understanding with someone who is self-harming begins to open doors to discuss his/her pain and what may be underlying this unhealthy coping mechanism. While anger and shame have a tendency to turn another person inward and/or away, empathy is more likely to act as a gateway for connection. Optimism– Learning of self-harm can throw us into our own turmoil. However, the ability to respond to the self-harming person’s pain with hope about his/her future and his/her ability to overcome feelings that are currently resulting in self-harm are important for both the self-harming individual and for the parent(s). Bree Emery specializes in working with individuals who self-harm and helping these individuals move past these harmful behaviors toward healthy coping mechanisms and healthy lifestyles.